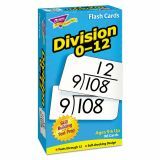 TREND Skill Drill Flash Cards, 3 x 6, Division - Math flash cards have proven effective for building basic skills and reinforcing learning with a self-checking design. 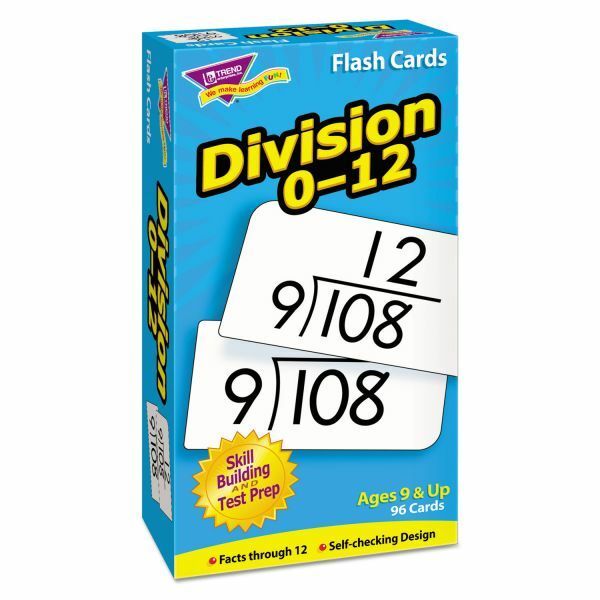 Colorful, durable, heavyweight, quick-sorting cards feature rounded corners and come in a sturdy storage box. 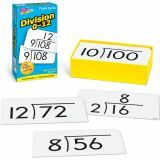 Each set includes fun activities and games to challenge growing skill levels. 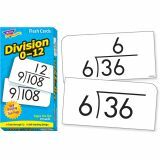 Ideal for teaching students in third-grade to fifth-grade (ages 9 to 11).